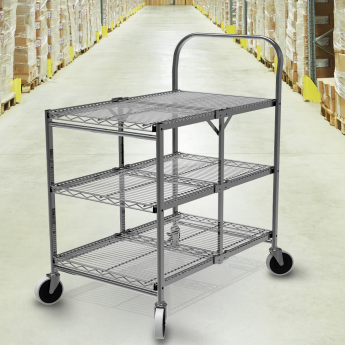 The Luxor 3-Shelf Collapsible Wire Utility Cart is a durable, versatile and uniquely flexible unit that is ideal for industrial or commercial use. 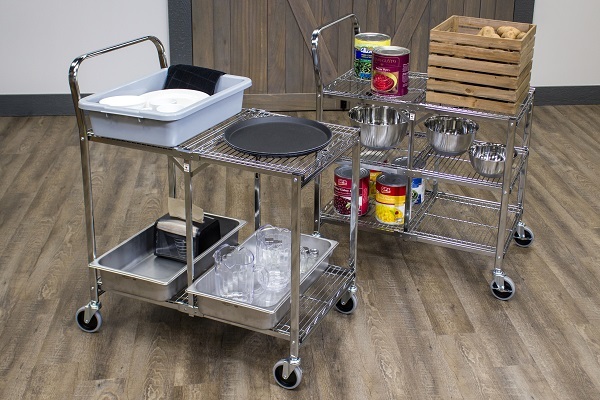 Because of its open design and two huge wire shelves, this steel utility cart provides more ventilation and plenty of room for storing different kinds of items. 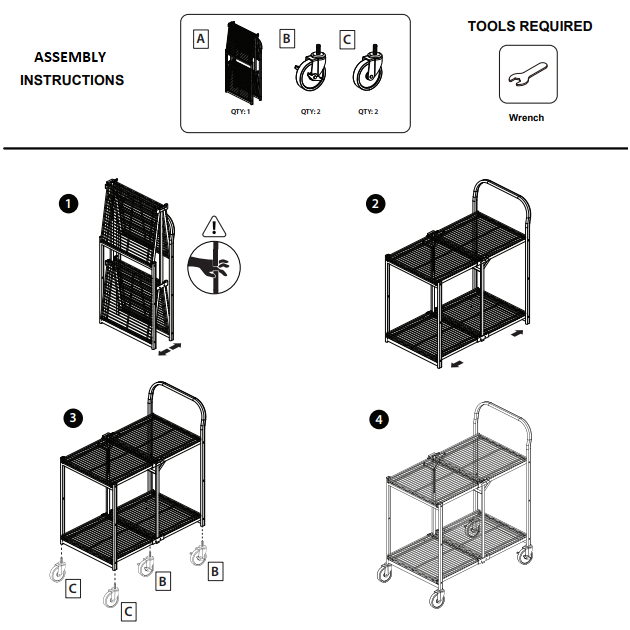 You can easily fold the cart when not in use or being transported. 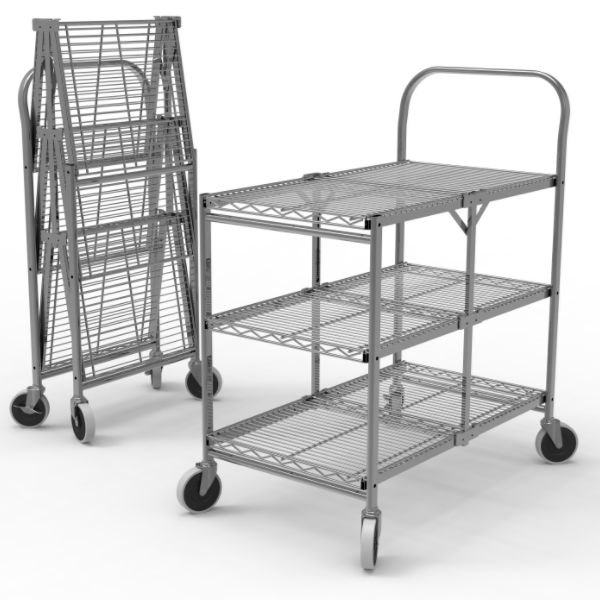 This 3-Shelf Utility Cart is shipped in a single box and very easy to assemble. 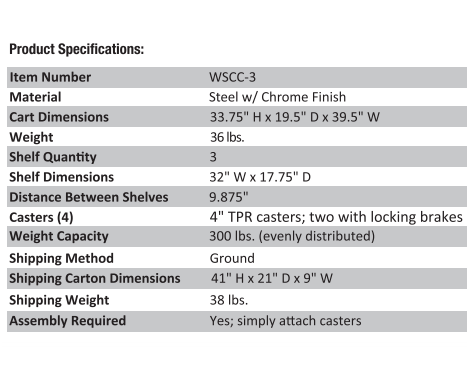 You only need to attach the casters and lock the three shelves in place. 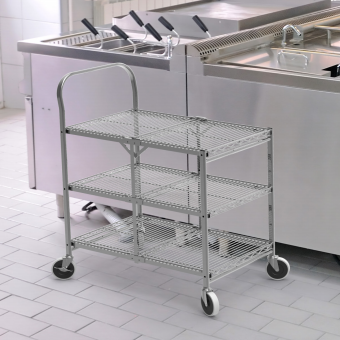 It is the perfect solution for your food service business needs. 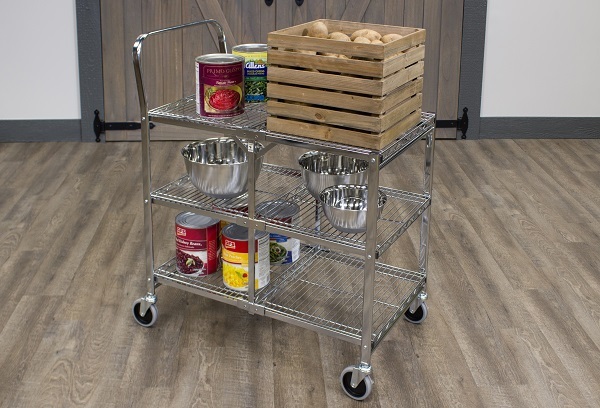 Perfect for offices, warehouses, kitchens, restaurants and hospitality areas.